We have partnered with Birmingham-based RFG Advisory for 1-1 advice to help you plan your future. We take a personalized approach to individual wealth management, retirement planning, and business owner and executive strategies—it’s tailor-made for you. 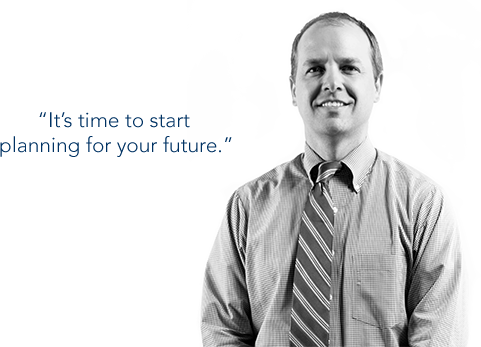 Meet Clay Aho, RFG Advisory Financial Advisor dedicated to serving Legacy Credit Union members. The right financial plan seeks to help you make the most of your money. Just a few hours of planning today may make life brighter in the future. A Wealth Advisor for more than 15 years, Clay Aho is passionately committed to his clients and helping them to pursue their investment goals. An Atlanta native, Clay graduated from Auburn University with a B.S. in Business Administration and Finance. Clay enjoys golfing, playing softball, and mostly spending time with his wife and 3 girls. Its time to start planning for your future. Taking control of your future begins with a plan, and it’s never too early to get started. RFG Advisory can help you create a customized financial plan that prioritizes your goals and values and makes your money work for you. If you are new to investing or you are nearing retirement and need help building an income portfolio, let RFG Advisory help you. Our long track record of trusted guidance, objective advice and investment management will guide you to pursue your financial goals. RFG Advisory, a Registered Investment Advisor. RFG Advisory and Private Client Services are unaffiliated entities.